During the 4-day course we have the opportunity to explore the following topics, and this will be supported by home study before and after the course. All participants are given a comprehensive manual to support their learning, which provides many further topics and options for exploration. Debrief our experiences of pregnancy, birth, feeding, and the first few weeks with new babies. 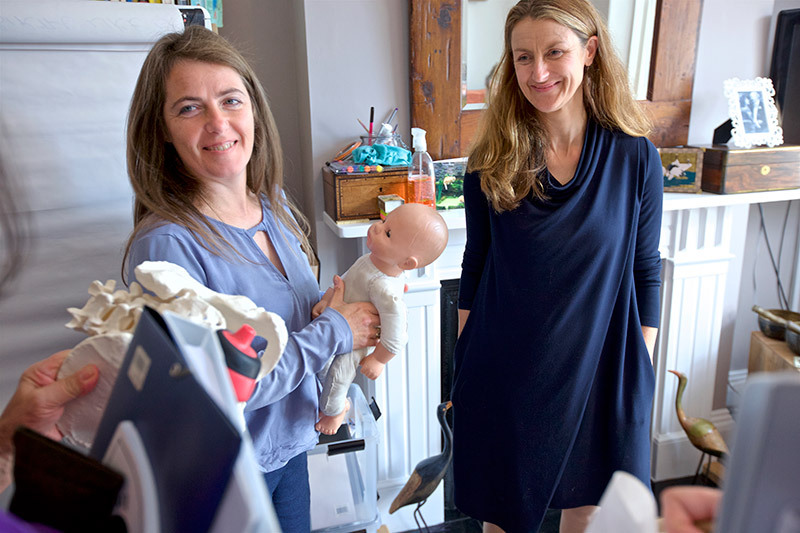 Look at birth: physiology, anatomy, obstetric scenarios, antenatal support and discussions, supporting parents making informed decisions, understanding partner’s needs, birth rights. Discuss the role of a birth and postnatal doula, doula boundaries and client expectations. Discuss feeding options: an introduction to breastfeeding, the basics of positioning and attachment, understanding some of the common problems faced by mums of newborns, recognising when to signpost, helping Mums get off to the best start, history of breastfeeding substitutes, safe preparation of bottles for formula feeding. Look at some of the common issues affecting new mothers and babies e.g. being home with a newborn, lack of sleep, visitors, unsettled babies, routines, self-care, postnatal mental health. Consider the best way to support new families including listening skills, helping parents build confidence in looking after their babies, how to remain open minded, signposting quality support. Think about the doula journey ahead – engaging with a mentoring programme, getting to know your local scene, making contacts/working with other health professionals, networking, further study/CPD. Running your own doula business, how to get clients, setting up as self-employed, looking at contracts, insurance, DBS checks.